Using pcs to appreciate phrases remains to be a space of burgeoning examine. 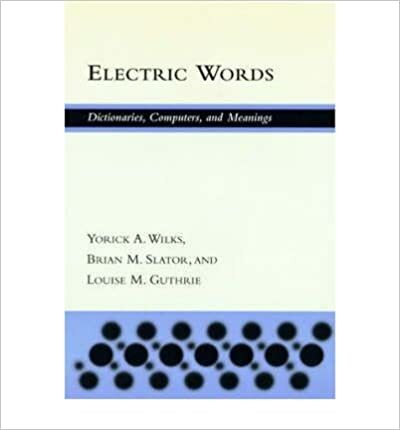 electrical phrases is the 1st common survey of and advent to the complete variety of labor in lexical linguistics and corpora -- the examine of such online assets as dictionaries and different texts -- within the broader fields of natural-language processing and synthetic intelligence. 8. Flash/no-ﬂash denoising. 2 for the joint bilateral ﬁlter. 22 for the guided (Fig. 9). The binary mask can be obtained from graph-cut or other segmentation methods, and is used as the ﬁlter input p. The guidance I is the color image. A similar function “Reﬁne Edge” can be found in the commercial software Adobe Photoshop CS4. We can also compute an accurate matte using the closed-form solution . In Fig. 9 we compare our results with the Photoshop Reﬁne Edge and the closed-form solution. Our result is visually comparable with the closedform solution in this short hair case. 8. Motion-aware Fluttered Shutter. (a) is the PSF and the MTF under constant velocity. 8pixels/chop) using the same sequence as in (a). (d) is the PSF/MTF using our motion-aware sequence. (e) and (f) are synthetically blurred images of (b) using acceleration PSFs in (c) and (d). (g) and (h) are the corresponding deblurred images, (i) and (j) show the close-up views. 6 Conclusion and Limitations We have presented a new ﬂuttered-shutter-based motion estimation and deblurring framework. Our method adopts the ﬂuttered-shutter point-spread-function (FS-PSF) model to uniformly describe blur kernels under general motions. Gaussian kd-trees for fast highdimensional ﬁltering. In: SIGGRAPH (2009) 18. : Noise estimation from a single image. In: CVPR (2006) 19. : Multiscale shape and detail enhancement from multi-light image collections. In: SIGGRAPH (2007) 20. : Real-time video abstraction. In: SIGGRAPH (2006) 21. : Joint bilateral upsampling. In: SIGGRAPH (2007) 22. : Progressive inter-scale and intra-scale non-blind image deconvolution. In: SIGGRAPH (2008) 23. : Segmentation using eigenvectors: A unifying view. In: ICCV (1999) 24.